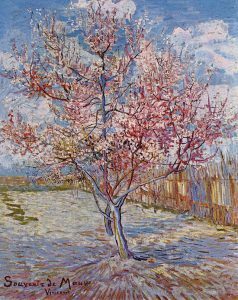 The Kroller Muller Museum Vincent van Gogh, a museum of contemporary art ( Veluwe) is the owner of the second largest Van Gogh collection in the Netherlands with an ownership of almost 90 Vincent Van Gogh paintings and 180 drawings. One of paintings you can admire here is the painting below called “Souvenir a Mauve”. 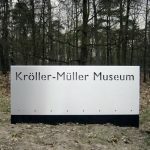 The Museum was opened in 1939 and was started from a collection of Helene Kroller -Muller. Vincent painted “Souvenir a Mauve”, in the last years when he was in the south of France, in Arles, Then he received the message that Anton Mauve had died. Anton Mauve was a member of his family in Den Haag; and Anton was Vincent’s teacher for a while. Anyhow the stubborn character of Vincent caused some trouble at the beginning. It’s possible to visit the Kroller Muller Museum Vincent van Gogh in a natural environment during half a day, with a private van Gogh guide. 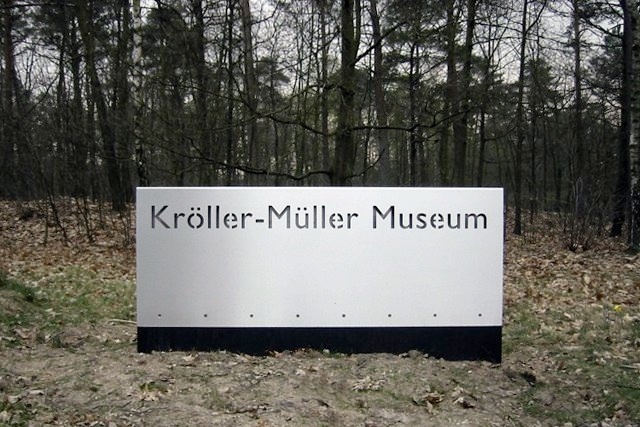 Please be aware that the travelling time from Amsterdam to Kroller Muller is at least 1,5 hour. It’s also possible to make a combination with a visit to the village of Giethoorn. Payments should be made in advance. 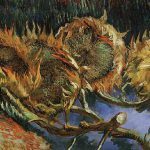 Below you see the painting of the first sunflowers painted by Vincent during his stay in Paris. 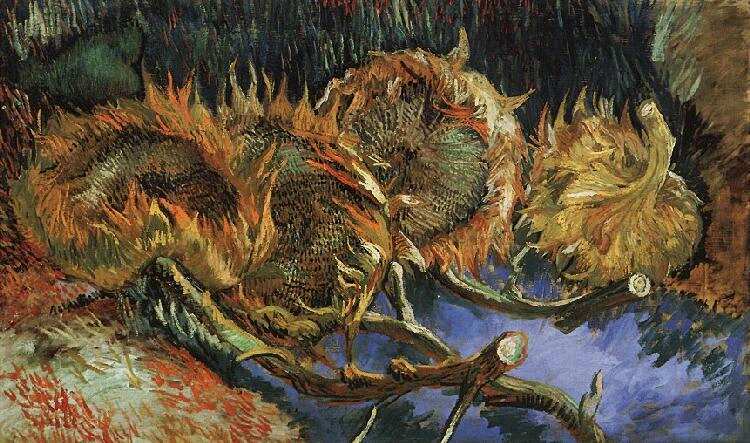 Then Vincent decided to let the sunflowers become a symbol of his own art.